Cross Timbers Sierra Club | Explore, enjoy, and protect the planet. You can still purchase tickets to the Lone Star Chapter of the Sierra Club Annual Environmental Awards Banquet at 5 p.m. on Sat., July 18 at Blue Mesa Grill in Addison. Tickets are $45 and that gets you access to a tasteful buffet and one alcoholic drink, and a chance to meet with executive board members of the Lone Start Chapter and its director, Reggie James. All proceeds help to cover the cost of the awards banquet and towards the Lone Star Chapter. The Cross Timbers Sierra Club group serves Denton, Collin, Fannin, and Grayson counties. Help remove recyclable items and trash from Towne Lake Park in McKinney for a morning clean up on Sat., July 11. Parking is available in the east parking lot, near the ball fields, and plan to meet at 9 a.m. Trash bags and bags for recyclable items will be available. To participate, please RSVP to brandireneeprice@gmail.com by 5 p.m. July 9. If you plan to participate, you will also need to fill out the adult and/or minor wavier forms that are located on the City of McKinney’s Web site at http://www.mckinneytexas.org/index.aspx?nid=439. Our monthly meeting will include guest speaker Ricky Bradley, the Regional Coordinator, Group Leader and Information Technology Director of the local office of Citizens Climate Lobby. The meeting will be held from 6:30 p.m. to 8:30 p.m. in the McCallum Conference Room at the Frisco Public Library at 6101 Frisco Square Blvd #3000, Frisco, TX 75034. The Cross Timbers Sierra Club leadership committee will also have an update on legislative items concerning fracking and other issues, an opportunity to help save sea turtles affected by the 2010 BP Gulf oil spill, and how you can donate recyclable items to Terra Cycle and help raise funds for the group. Get outdoors and explore on Saturday, July 18 for a morning hike at the Greenbelt Corridor of Lake Ray Roberts. We will meet at 9 a.m. at the entrance off of U.S. Hwy. 380, weather permitting and if the park is open and not flooded. If the hike cannot occur due to imminent weather or flooding issues, we plan to resume the hike at 9 a.m. on Sat., July 25. For more information and to see a map of where to meet, please visit http://www.nhnct.org/nature/ntexas_greenbelt.html . The Cross Timbers Sierra Club is part of the Lone Star Chapter of the Sierra Club, the nation’s oldest grassroots conservation group. For more information about the Cross Timbers Sierra Club, please contact our Co-Chairpersons Brandon Morton at brandonmorton@gmail.com or Harrison Wicks at harrisonwicks@gmail.com, or the Communications and Membership Coordinator Brandi Price at brandireneeprice@gmail.com. You can also visit our Web site www.crosstimberssierraclub.org or our Facebook page at https://www.facebook.com/#!/CrossTimbersSierraClub . Join the Cross Timbers Sierra Club group at 6:30 p.m. on Monday, July 13 at the Frisco Public Library and hear from Ricky Bradley, Regional Coordinator, Group Leader, and Information Technology Director of Citizens Climate Lobby. Bradley will speak about how people can directly help reduce their impact on climate change at the Cross Timbers Sierra Club July 13 meeting. The meeting will be in the McCallum Conference Room at the Frisco Public Library at 6101 Frisco Square Boulevard #3000, Frisco, TX 75034. For more information, please visit https://citizensclimatelobby.org/ccl-regional-conferences/. We will also have updates about local legislative action, and will seek nominees to serve on the Cross Timbers Sierra Club Executive Committee. Please RSVP by sending an e-mail to brandirealemail@gmail.com . Movie night and McKinney environmental education speaker on June 9-Martha Cavazos-Fipps, Environmental Coordinator for the City of McKinney’s, will speak about the city’s ongoing environmental education classes and events at the June Cross Timbers Sierra Club meeting. The meeting will be held 6:30 to 8:30 p.m. Tuesday, June 9 at the John and Judy Gay Library, 6861 W. Eldorado Parkway in McKinney. 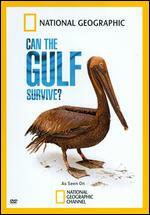 We will also bewatching the 90 minute documentary “National Geographic: Can the Gulf Survive?” which details how the BP Deepwater Horizon gulf spill in 2010 impacted the Gulf Coast. May 17, 2015– Do you want to learn how you can help conserve while enjoying the natural world around you? Then join the Cross Timbers Sierra Club on May 26 to hear about the group and Blackland Prairie Chapter of the Texas Master Naturalists, and learn more about our upcoming hike on the Greenbelt Corridor of Lake Ray Roberts State Park on May 30. The Cross Timbers Sierra Club group members will meet 7 to 8 p.m. Tuesday, May 26 at the yellow house that is adjacent to the Diggin It shop at 507 ½ Tennessee St. in McKinney. Cross Timbers Sierra Club members will give an update on upcoming legislative items that impact Collin, Denton, Fannin, and Grayson counties, as well as the region and the state, and initiatives that the Lone Star Chapter of the Sierra Club are currently pursuing. Items will also be included in a raffle and silent auction at the meeting. For more information, please contact Brandi Price, Communications Coordinator for the Cross Timbers Sierra Club group, at brandireneeprice@gmail.com. Morning hike in Denton County on May 30– The Cross Timbers Sierra Club group is also be hosting a hike from 9 a.m. to 11 a.m. on Saturday, May 30th at the Greenbelt Corridor Trail at Lake Ray Roberts State Park in Denton County. The group will meet at the entrance of the Greenbelt Corridor Trail and parking area that is located off of State Highway 380. 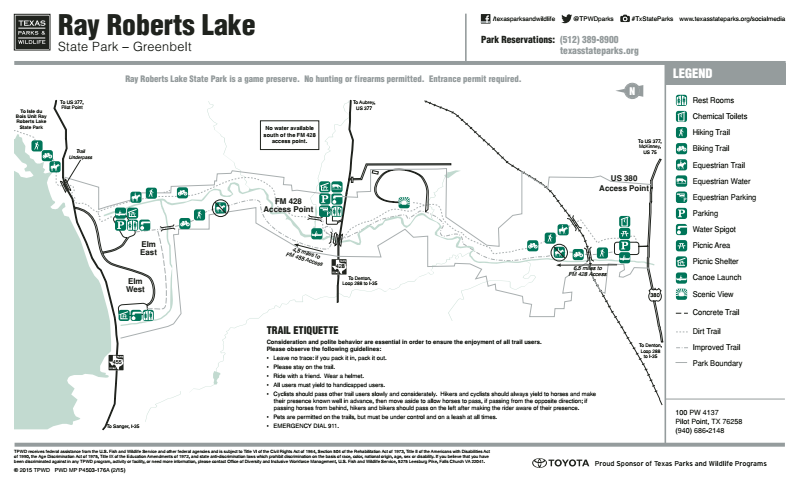 Please see that attached map of the parking area and entrance to the trail, which is located on the east side of the map. For more information, please contact Cross Timbers Sierra Club Co-Chair Harrison Wicks at harrisonwicks@gmail.com. Movie night and McKinney environmental education speaker on June 9-Martha Cavazos-Phipps, Environmental Coordinator for the City of McKinney’s, will speak about the city’s ongoing environmental education classes and events at the June Cross Timbers Sierra Club meeting. The meeting will be held 6:30 to 8:30 p.m. Tuesday, June 9 at the John and Judy Gay Library, 6861 W. Eldorado Parkway in McKinney. We will also bewatching the 90 minute documentary “National Geographic: Can the Gulf Survive?” which details how the BP Deepwater Horizon gulf spill in 2010 impacted the Gulf Coast. The Cross Timbers Sierra Club group also has a booth at the Denton Community market. Additionally the group hosts a park clean-up from 9 a.m. to 11 a.m. on the first Saturday of the month at Towne Lake in McKinney at1405 Wilson Creek Parkway, just east of U.S. 75. Contact Brandi Price at brandireneeprice@gmail.com to participate. The Cross Timbers Sierra Club serves Denton, Collin, Fannin, and Grayson counties. For more information, please contact Co-Chair Brandon Morton at brandonmorton@gmail.com, or Wicks and Price at their e-mail addresses listed above, or visit https://crosstimberssierraclub.org/ or our Facebook page https://www.facebook.com/#!/CrossTimbersSierraClub. About the Sierra Club: Founded by legendary conservationist John Muir in 1892, the Sierra Club is now the nation’s largest and most influential grassroots environmental organization — with more than 2 million members and supporters. For more information, please visit www.sierraclub.org. The Lone Star Chapter of the Sierra Club is an outdoor recreation and conservation organization representing approximately 21,000 Texans and 10 regional groups from Big Bend to Houston. For more information, please visit https://texas2.sierraclub.org/. Frisco, Texas – The newly reformed Sierra Club Cross Timbers Group, which serves Denton and Collin counties, will hold a free long-range water planning and conservation panel discussion on March 23 in Frisco. The event will feature speakers from the Sierra Club’s Lone Star Chapter, the United Nations Association’s (UNA) Dallas Chapter, and the North Texas Municipal Water District (NTMWD). Featured panelists include: Reggie James, Interim Director of the Sierra Club’s Lone Star Chapter; Jennifer Walker, Water Resources Coordinator of the Lone Star Chapter; David Reid, President of the UNA’s Dallas Chapter, which is co-sponsoring the event; and Denise Hickey, PR Director of the NTMWD. 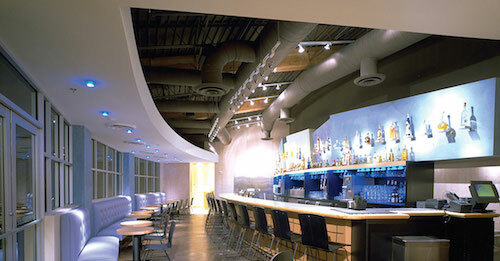 James and Walker will discuss the Sierra Club’s water conservation efforts in Texas. Reid will discuss the UN’s World Water Day, which focuses on providing safe drinking water to areas around the world and water conservation. In 1993, the United Nations General Assembly designated March 22 as World Water Day, a day to celebrate water. Globally, the UNA has made significant gains in ensuring water is available in developing countries. However, there is still much work to be done as 600 million people still lack access to clean water sources, according to Reid. “Access to clean water and sanitation helps prevent the spread of diseases, and, as urbanization increases, wastewater management becomes a more complicated issue,” Reid said. The UN is comprised of 193 member states, whose efforts will help bring clean water to our global population. Hickey will discuss the NTMWD’s long-range potable water plans and water conservation efforts to ensure that the NTMWD’s member cities are supported. “Water conservation and the wise and efficient use of our water supply must continue to meet our long term water needs locally, regionally, and statewide. The best practices learned during this current drought are needed during non-drought periods,” Hickey said. The event is open to the public and will be held 7–9pm, Monday, March 23 at the Frisco Heritage Center Depot, 6499 Page Street. The Sierra Club Cross Timbers Group will also be accepting applications for anyone who wants to join the newly reformed group to serve on its Executive Committee and to join the group and attend outings, clean up events at area parks, and educational opportunities about helping to preserve the natural areas of Denton and Collin counties. Light refreshments will be provided. For more information, please visit our Facebook page, http://www.facebook.com/CrossTimbersSierraClub. Do you love the outdoors? Join the club! The Cross Timbers Sierra Club is back in action. The Cross Timbers membership area covers North Texas from just north of Dallas/Fort Worth to the Red River, Denton to McKinney and in between. 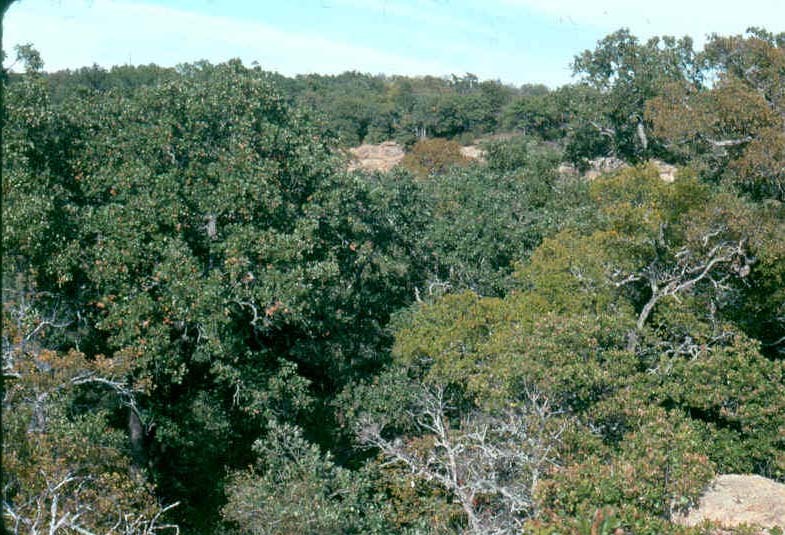 The ‘Cross Timbers’ name refers to the entangled scrubby oak woodlands which once covered portions of Oklahoma and North Texas. The difficulty of “crossing these timbers” presented a very real barrier to early travelers, whether by traveling horseback, wagon, or foot and so they coined the term cross timbers for the area. Few large stands of these woodlands remain in North Texas, but some examples still exist such as those near the shores of Lake Texoma and areas of Blackland Prairie. Follow our Facebook page www.facebook.com/crosstimberssierraclub for latest information on meetings, outings, and volunteer opportunities.